Dr. Marie Holowaychuk, a board-certified veterinary emergency critical care specialist, discusses 5 misconceptions that many veterinary professionals have about trauma cases. 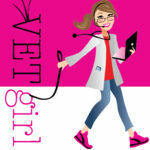 Before you treat your next HBC (hit-by-car), make sure to check out this VetGirl veterinary podcast for some key simple trauma tips! Dr. Holowaychuk discusses key things like, giving shock boluses of fluids, treating with steroids, or euthanizing those trauma patients. Very well spoken as well…. The short answer is: trauma cases do great and no, don’t give steroids!